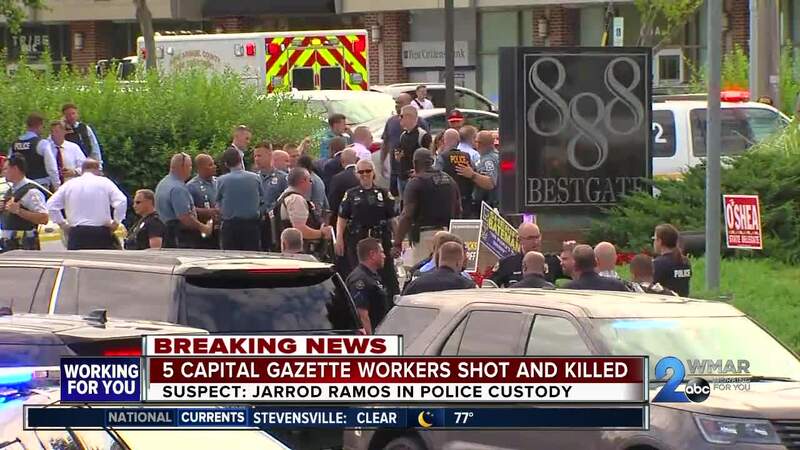 A suspect who had once filed a defamation suit against the Capital Gazette newspaper , is accused of opening fire into the newsroom and killing five people Thursday. Jarrod Warren Ramos, the suspect in what police called a "targeted attack" on the Annapolis, Maryland, newspaper, has been charged with five counts of first-degree murder, according to court records. The five who were killed are: Gerald Fischman, 61, editorial page editor; Robert Hiaasen, 59, an assistant editor; John McNamara, 56, a staff writer; Rebecca Smith, 34, a sales assistant and Wendi Winters, 65, who worked in special publications. "We are heartbroken, devastated. Our colleagues and friends are gone. 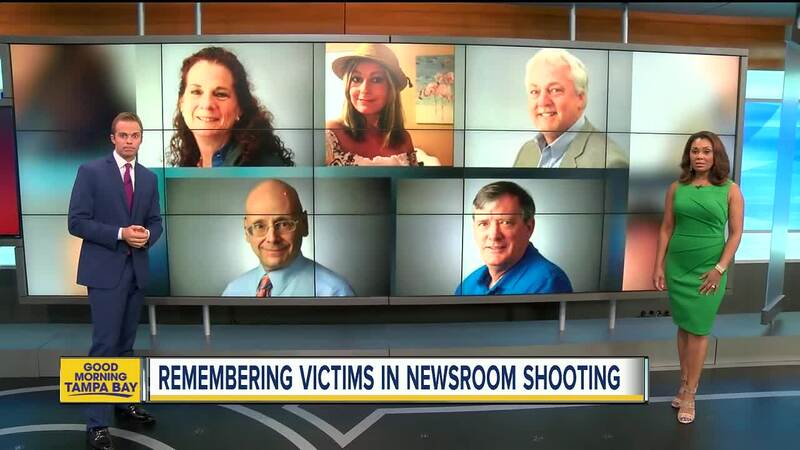 No matter how deep our loss is nothing compared to the grief our friends' families are feeling," Capital editor Rick Hutzell was quoted in its front-page story. The gunman fired through the glass door of the newsroom, Phil Davis, a Capital Gazette police reporter, tweeted shortly after the shooting. "There is nothing more terrifying than hearing multiple people get shot while you're under your desk and then hear the gunman reload," he wrote. Several staffers and reporters from sister paper, The Baltimore Sun worked on stories for Friday's paper. It listed the five people's names. Anne Arundel County Police had not released the suspect's name, but multiple law enforcement sources and then later a court record identified him as Ramos. A Twitter account with Ramos' name and the handle @EricHartleyFrnd is believed to be Ramos', a law enforcement source said. The account had tweeted several times about the paper and Hartley. "This was a targeted attack on the Capital Gazette," he said. He said police don't have knowledge that the gunman was targeting anyone in particular and can't confirm whether the suspect knew employees at the paper or just targeted the publication. The suspect "possibly" had a connection to the paper through social media, according to Krampf. "This person was prepared to shoot people. His intent was to cause harm," he said. "The Capital is not a big newsroom. There are about 20 news staffers, a few more advertising. We are close. We are family. I am devastated," tweeted Danielle Ohl, a reporter. In a Facebook post, author Carl Hiaasen said he was "devastated and heartsick" to confirm the death of his brother, Rob Hiaasen, affectionately known as "Big Rob" because he towered over people. "He spent his whole gifted career as a journalist, and he believed profoundly in the craft and mission of serving the public's right to know the news," Hiaasen wrote.